At Normandeau Window Coverings we pride ourselves on customer service and expertise. We are excited to work with our clients whether you have a single window to cover or a large project. Normandeau Window Coverings is a Hunter Douglas Gallery Dealer which includes an exclusive 20/20 Gallery Gold Guarantee that guarantees customer satisfaction. Our goal at Normandeau Window Coverings is to stand apart from the competition and become your vendor of choice. We want to create a "Best Experience" for you and ensure your design visions are fully realized. Our complete design services are all you need in the step to enjoying your new space. Budget Blinds, a Home Franchise Concepts® brand, is a custom window coverings franchise that offers convenient shop-at-home service for window coverings and home décor accessories. 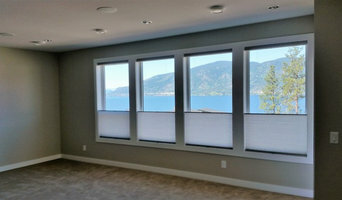 Budget Blinds takes the hassle out of shopping for window coverings and helps you turn your vision into reality. Our experienced Style Consultants will help you find the perfect window treatments to bring out the best in your rooms, and provide you with expert measuring and installation to guarantee a perfect fit! Schedule a free in-home consultation with your local Budget Blinds Style Consultant today and find out why at Budget Blinds, service is always in style! I am a home based business looking to help you with your interior design. With 35 years experience, specializing in interior decor, paint colors, flooring and ceramic tile ideas, drapery and window coverings I am confident I can help you with all your interior needs. I am a certified interior decorator and window covering consultant. For interior decorating services please click on the interior consultation tab for services offered and price list.. For Blinds, Shutters, and Shades I offer a free no hassle, no commitment consultation to your home or business. If you’re interested in covering your windows with quality window fashions at an affordable price contact me to set up your consultation. More information and ideas can be found by clicking the above window covering tab. Hi, I'm Angela Ziefflie owner and founder of A to Z Blinds established in 2015. 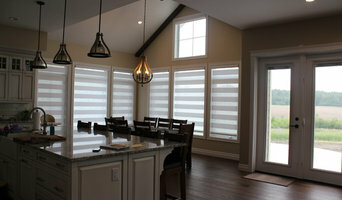 We are a home based business selling custom blinds, shades and shutters with 3 Canadian suppliers. With extensive training in sales, product knowledge and installation you will be sure to receive the best customer service! Without having to leave your home, I bring the samples to you so you're sure to find the perfect treatment for each window. I measure each window precisely so each window treatment is the perfect fit. Have an odd shaped window? we got you covered! Have an outdoor space that needs privacy? we got you covered! For the techy ones, we have automation just for you! Call me today to schedule your free in home consultation! Serving Central Alberta since 2015. 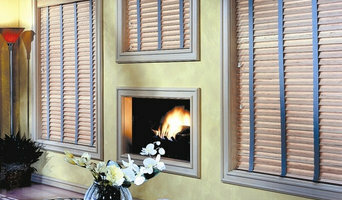 Proud dealers of Elite Window Fashions, Habitat Blinds and Shading Systems Inc and Maxxmar Window Fashions. Consultation - free Products - $ Installation - included in price of blind. Additional fees applied to specialty shaped windows, high ladder jobs, commercial grade systems, templates and automation. 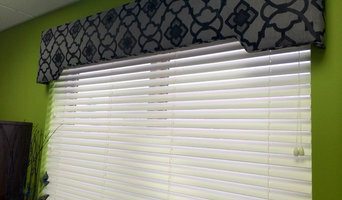 Visit our website www.atozcustomblinds.com or find us on Facebook and Instagram for our most recent projects and promos! At the Blind Spot, we provide services to Red Deer and area. We are able to keep our overhead low and pass the savings on directly to our customers. We provide affordable transformations through contemporary window fashions. With all the options available we specialize in finding ideal solutions for your window covering needs. We have an eye for detail with consideration to your style & Budget. We believe in building relationships on mutual trust. We listen to your needs and help you get exactly what you want on a budget that works for you. We provide affordable transformations through contemporary window fashions. With all the options available we specialize in finding ideal solutions for your window covering needs. We have an eye for detail with consideration to your style and Budget.We believe in building relationships on mutual trust. At StyleCraft, our philosophy reaches through the science of window coverings, and indeed touches the art of window fashions. We are an independently owned and operated business in Red Deer, and we believe that the right window fashions can elevate every home. Our staff members have more than five years of experience and are fully certified as consultants and installers of the world’s leading manufacturers, including Hunter Douglas and Graber®. Our knowledge, experience, and creativity are the essential ingredients for a result that you will be delighted with. We are committed to your satisfaction and peace of mind. We are local window coverings manufacturer, drapery room, and upholstery shop that brings the work room directly to the client. Cheryl knows what questions to ask when it comes to making a decision about your interior design project. For instance, if you’re planning to have a kitchen remodeling, you might want to consider factors like if you have enough space to cook while someone is in the kitchen or if you need a prep sink and a clean-up sink. The contractors at our interior design company stay up-to-date on the many different options and innovations in the interior design industry, such as window treatments and fog free mirrors for your bathroom. We are able to determine your design needs by identifying your preferences and patterns, such as naturalistic, stylized, geometric, or structural. 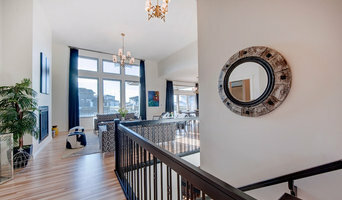 You can learn more about your interior design and space planning options by contacting Cheryl at Copper Creek Blinds & Design Inc in Red Deer, AB.